Anthony is a dedicated young man. His dedication and persistence is evident in every area of his life. Upon meeting Anthony, he was actively working, volunteering in his church, and contributing to his family. During his first time through our Real World program, Anthony was afforded an opportunity to enter the FEMA CORPS, which required that he leave Real World. Upon leaving the program, he promised to come back to finish. During his time in FEMA CORP, Anthony made sure to keep in contact with StepUp. He excelled in his time in their program and came back to engage in the Real World with a new sense of purpose. Anthony has aspirations of becoming a firefighter, and he is taking steps to make this dream come true. He is working two jobs, volunteering at his local church, and serving as a Wake County volunteer firefighter. We have no doubt that he will achieve every goal that he has set for himself. 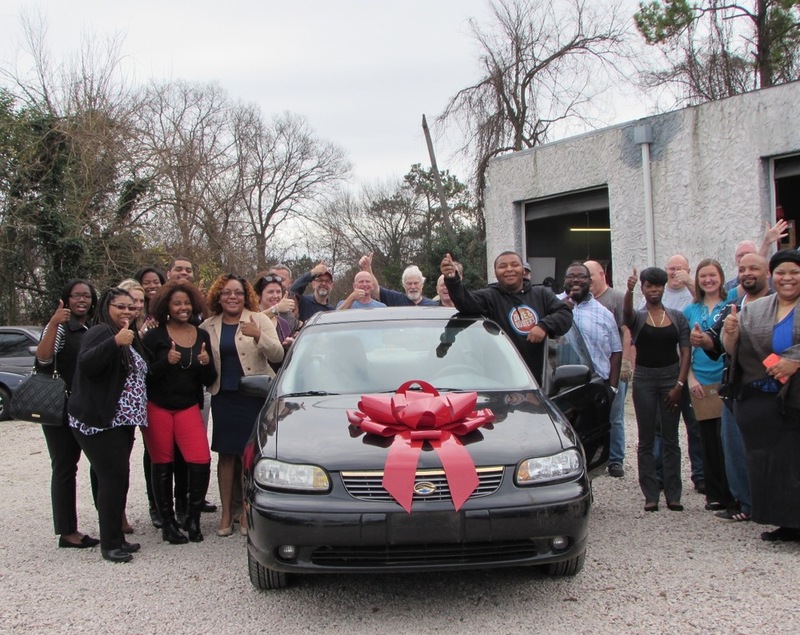 In partnership with Wheels4Hope, StepUp was able to assist Anthony with achieving one of his goals just this month. He purchased his first vehicle. We are excited about all the avenues that vehicle ownership will open for him.